TimeTec proudly presents the new paradigm shift in access control with the use of smartphone App for turnstile entry. The TimeTec BLE-2 is designed to be an intermediary device between a smartphone App and a turnstile controller to provide patrons with secure and easy access to and from a space or a building. Access card credential is history with i-TimeTec because this solution is using smartphone as credential by using Bluetooth Low Energy (BLE) technology to get encrypted access activities of the turnstile gates in real time for convenience, transparency and extra security. 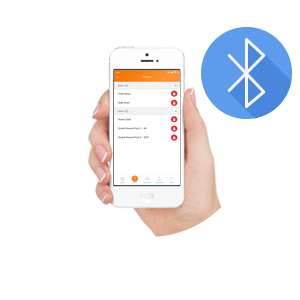 Use your smartphone to access your workplace with ease. Deal with staff turnover and staff exchange easily through i-TimeTec.